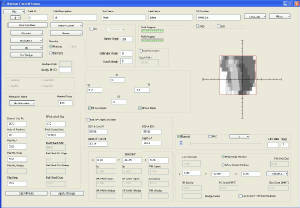 RadCheck is a suite of QA tools for external beam radiation therapy. The main module allows for independent checkdose and monitor units for teletherapy plans. Plan information can be imported via DICOMRT plan file. The calculation algorithm incorporates a Clarkson algorithm for standard 2D & 3D plans and used a proprietary 4 source model for IMRT calculations. The user can view the block/MLC aperature for each field and the IMRT fluence as well as each segment for an IMRT plan. Currently RadCheck supports standard, motorized, and EDW wedges as well as electron fields. 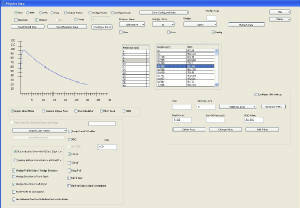 RadCheck supports inhomogeniety corrections as well as calculation to various off axis points. A printout allows for a neatly formatted summary of the calculation check showing all relevant parameters. An extensive physics database allows for import of beam data from a multitude of vendors and scanning systems. Once entered into the system the data can be re-exported in a format of the users choosing to most of the treatment planning and scanner formats. Data can be processed using various filters and displayed in both graphical and tabular format. A dosimetry calculator allows the user to quickly calculate various dosimetry parameters suchs as TMR at arbitrary depths and field sizes as well as arbitrary off axis factors (folded to isocenter) for various field sizes depths and off axis distances. Separate windows are included to allows for custom printing of data tables including selection of colors on graphs. Within this module the user can save printing and export format templates. A separate TG51 module allows the user to quickly navigate the various parameters when performing a TG51 calibration. 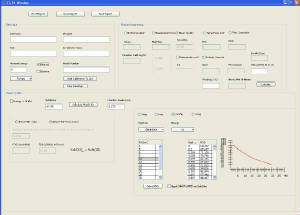 Included in this module is a user editable library of ion chambers. By simply selecting a given depth dose all of the various parameters can be derived without the need for table lookup of manual computation.